Whether you are Irish or not, most people celebrate March 17th for St. Patrick’s Day. 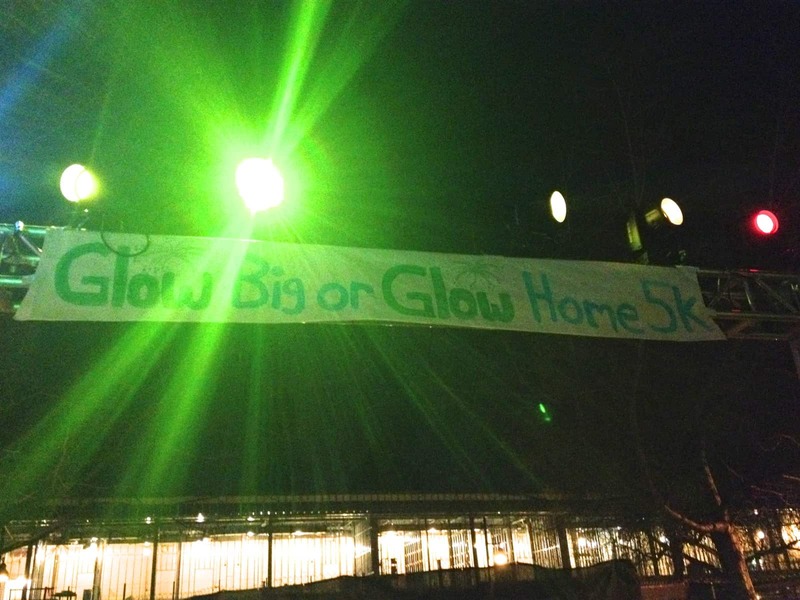 I spent my day at the Associated Student’s first ever Glow 5K Run. 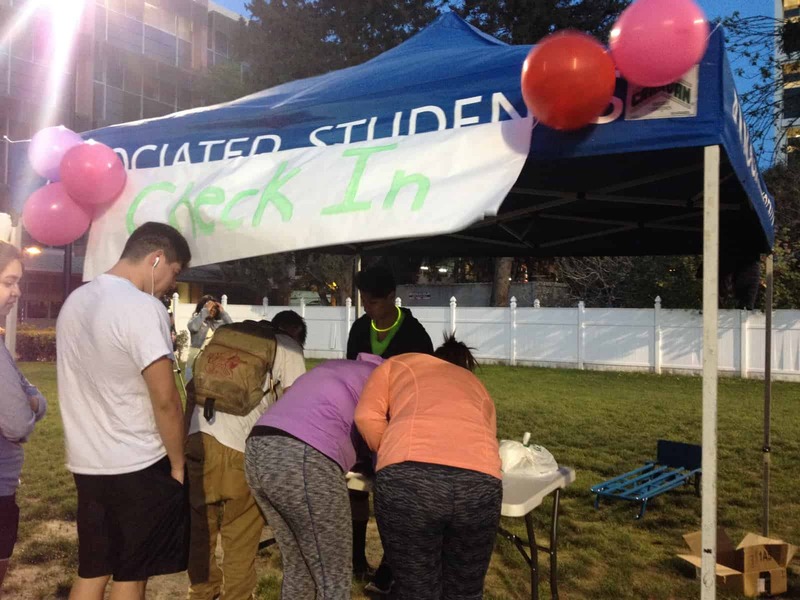 Not only am I a supporter of KSJS, but I am a Associated Students member who worked at this event and was impressed with the amount of people that showed up. We were just shy of 200 attendees. 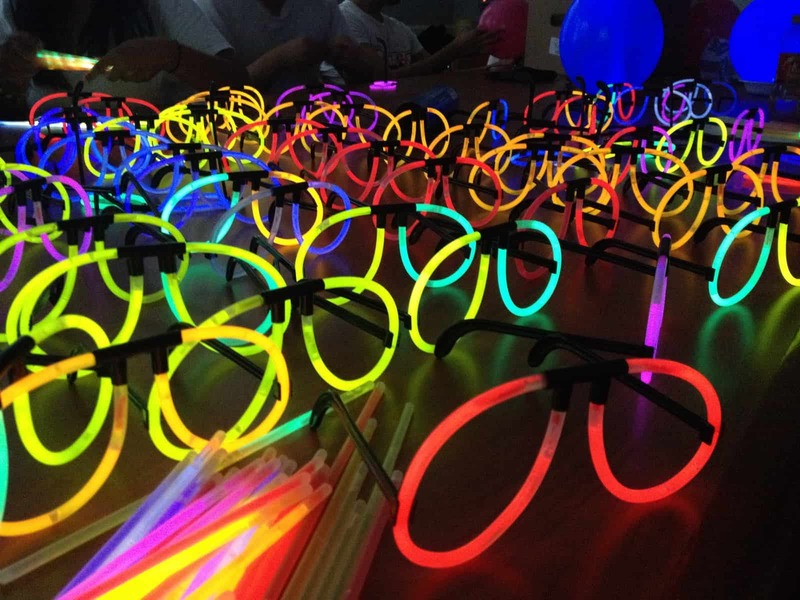 Registration began at 7:00pm and at this time runners were able to get a variety of glow merchandise: glasses, rings, necklaces, and bracelets. There was also an option to get their faces painted. The lines seemed to never end. 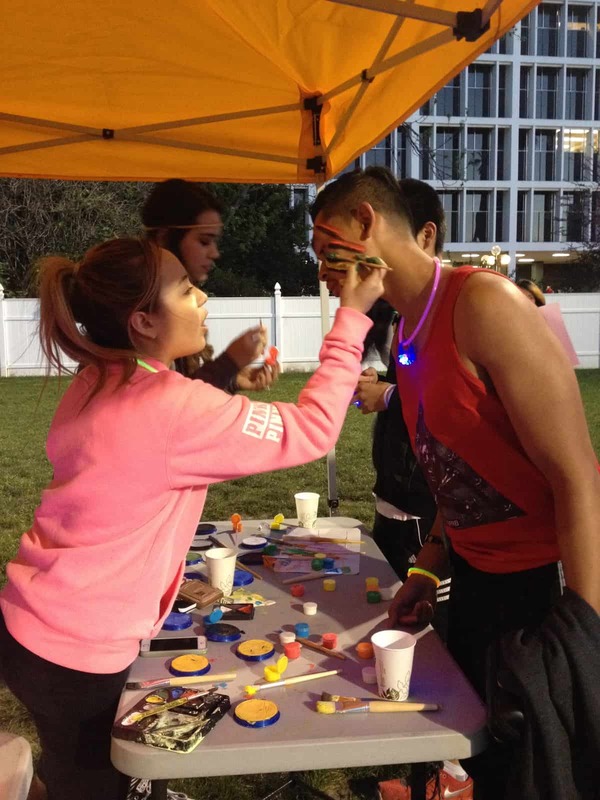 People were so excited to get all their glow goodies and paint their faces with various colors. We had DJ Castro playing music in the background to get the runners pumped. DJ Castro is a first year SJSU student who is getting the chance to DJ in Tokyo later in the year. Cristina Cortes was the MC for the night and did an excellent job pumping up the crowd before sending them off to complete a 5K run. The run consisted of two laps around the perimeter of the SJSU campus equaling out to 3.1 miles. Our first place runner completed in around 20 minutes. Everyone seemed to finish within the hour with a couple stragglers at the end. The Associated Students council stood at the finish line cheering on everyone who completed the 5K. The entire event was full of energy and everyone seemed to have a lot of fun. 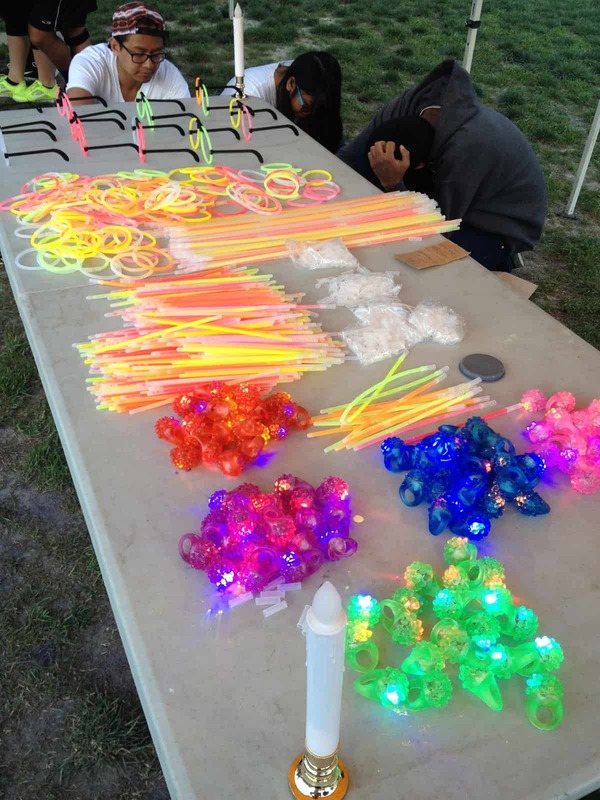 For it being Associated Students first time hosting a 5K run, it was a successful turn out. Hopefully this event can turn into an annual event as each year the committee can make it better and better.